One of the longest running terror campaigns in history and the most prolific serial criminal in America, Ted Kaczynski also known as The Unabomber sent explosive packages through the post to unsuspecting colleges, universities, airlines and academic personnel right up until his capture in Montana in 1997 using state of the art forensic techniques developed by the FBI. On this episode of Those Conspiracy Guys we look at one of the longest running terror campaigns in history and the most prolific serial criminal in America, Ted Kaczynski also known as The Unabomber. 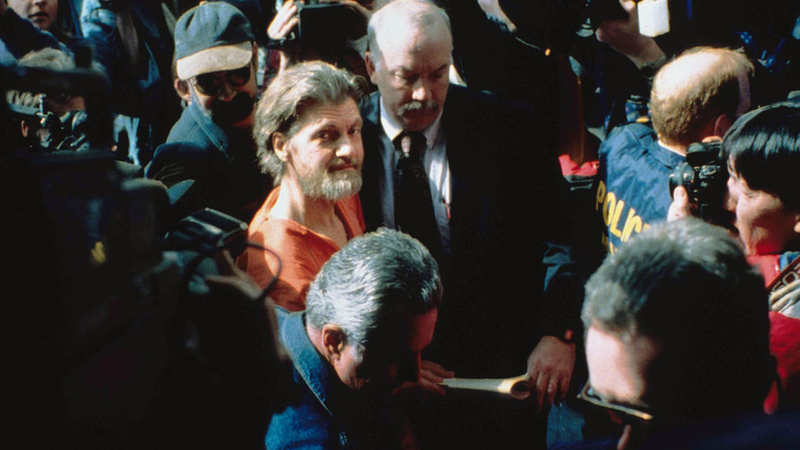 From the late 70s Ted Kaczynski sent explosive packages through the post to unsuspecting colleges, universities, airlines and academic personnel right up until his capture in Montana in 1997. The FBI began looking for this mysterious bomber after a package was found in the hold of an American Airlines flight that had failed to detonate. The primitive bomb could have done a lot of damage and some similar bombs had been sent to Northwestern University and other colleges, to be opened by computer science and engineering professors. This reign of terror lasted for 20 years as the FBI were unable to find any evidence to discover the identity of the bomber, and they created a task force to try to capture even some small piece of evidence to apprehend this unattainable terrorist. Ted Kaczynski was a bonifide genius with an IQ of 167 and he was accepted to Harvard at just 16 years of age. His college experience was far from idyllic however; thanks to the hands of DR Henry A Murray Ted was subjected to MK Ultra mind control techniques and it was reported to have broken his psyche. This is cited as the reason for Teds crimes after his capture, but because of his intelligence he was able to elude capture from the FBI and the hundreds of agents assigned to the case. Ted would leave small clues and taunt the law enforcement with red herrings and secret messages in the bombs. One such secret message was not so much a note as a novel; known as The Manifesto, titled ‘Industrial Society and its future’ was a scathing and cynical critique of modern society and its reliance on technology and industrialisation. Ted longed for a society that was much closer to ‘Wild Nature’ and this could be why he decided to check out of modern society and live in a box cabin in the woods of Montana. The Manifesto however was the key piece of evidence that would be used to apprehend him using new state of the art forensic techniques. Every bomb that passes through the hands of the FBI was rigorously examined forensically by the FBI but no trace of DNA or fingerprints could be found. Enter James Fitzgerald FBI field agent and soon to be forensic linguistics expert, who cracked the code of the manifesto and exposed the identity of Kaczynski. Using pattern recognition and linguistic analysis Fitzgerald was able to identify the Unabomber speech and a very public sting operation was set up so the FBI could finally put a name to the bombs.